In 1849, “California Fever” hit southeastern Ohio. Several people in Meigs County headed west to leave behind a depression and a cholera epidemic plaguing the nation, grabbed their picks, shovels, and sifters, and searched for gold. 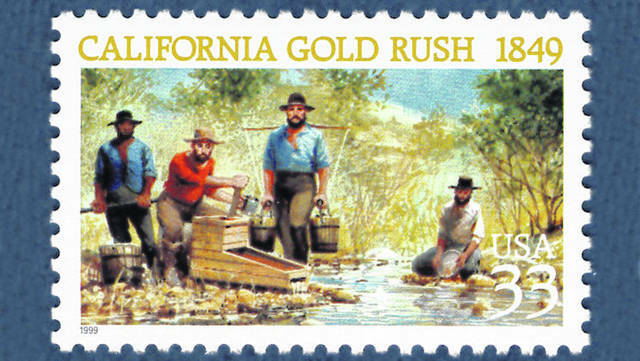 The California Gold Rush brought around 300,000 people from the rest of the United States; this population increase gave California enough people to apply for statehood, as in the compromise of 1850, and the huge influx of gold added into the money supply reinvigorated the American economy and brought the United States out of its depression. The following is an excerpt from “The Buckeye Rovers,” an article in the Cincinnati Enquirer by Arthur B. Harding. The Buckeye Rovers crossed the continent to the California gold fields in 1849. There were twenty-two men in the party, from Athens and Meigs counties exclusively. From Athens county: Elza Armstrong, W. S. Stedman, Hugh Dickson, Dennis Drake, Elijah Terrill, Solomon Townsend, James Shepherd, William Logan, W. T. Wilson, Joseph Dickson, M.D., R. P. Barnes, John Banks, George Reeves, Asa Condee, M. D., H. L. Graham. From Meigs county: Seth Paine, L. D. Stevens, J. C. Rathburn, M. D., Joshua Gardner, Charles Giles, John S. Giles. Fifteen Athenians and seven Meigs countians. 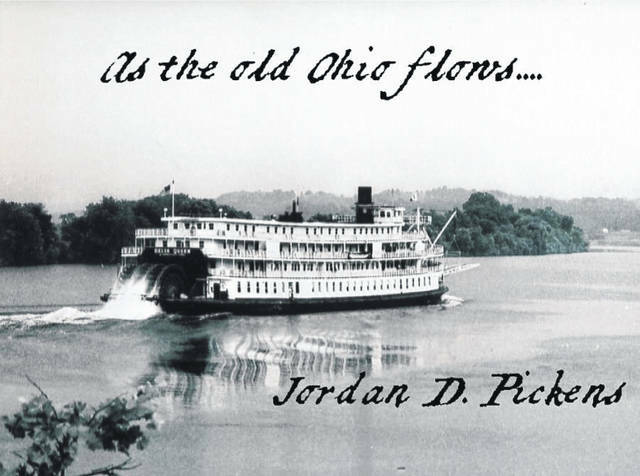 The party left Albany April 9th, 1849, and, going to Middleport, Meigs County, embarked on a steamboat and, further on, by boats until reaching Lexington, Mo. Here they organized, choosing Dr. Joseph Dickson captain. Cattle were brought that never had seen a yoke, and a week was spent in breaking them. The party drove one hundred miles to St. Joseph, where, if they had waited to cross the ferry in their turn, they would have been delayed six weeks, so great was the rush westward. Luckily, some of them were old river men, and who constructed a rude craft, that carried them over the river in four days. They proceeded up the Platte river by Fort Kearney and Fort Laramie, and to the north of the Great Salt Lake, eighty miles. Cholera infested the plains at this time, and for more than a thousand miles west of Fort Kearney, if there had been no trail, they could easily have kept their course by the new made graves. They had many thrilling experiences and narrow escapes from the Indians. At the sink of the Humboldt River the Indians stole all of their cattle. Then the company disbanded, and each one had to get to Sacramento the best way he could. Judge Wilson fell in with an Illinois party going to Oregon, and he was the first white man at Downieville, on the Yuba river, where he subsequently took up the largest nugget any of them secured. It was about the size of a goose egg and was valued at $1285. On September 20th, 1849, the first of the Buckeye Rovers reached Sacramento, then consisting of only one wooden structure and used for a post office. The tent population was about 5000, which increased as by magic, so that in less than one year it was estimated at 80,000 souls. When they reached the golden land, labor was worth $16 a day, but dropped to $10 the next season. Provisions of all kinds were brought from the Sacramento Valley on mules and sold at enormous prices. Everything sold by the pound, at $1, except butter, which was $4. Once they paid $8 for a pound of soda to make slapjacks. Letters from the East cost 40 cents postage, and were usually a year in reaching their destination. A man at the diggings was employed as mail carrier. He took a list of the names of the miners and went to San Francisco, the nearest post office, 200 miles distant. On reaching the office, he had to hunt the letters that were wanted from a large pile on the floor. They paid the mail carrier $2 for each letter carried or received. In the winter of ‘49 Condee and Wilson formed a partnership with two Illinois men, Burroughs and Barnes by name, for the purpose of prospecting on the Yuba river. There were no towns and no laws, but among themselves. They agreed that each miner was to have thirty feet on the river as his claim. After staking out four claims near Downieville, Barnes and Burroughs went farther up the mountains prospecting, leaving the others to guard the claims. The miners began to swarm in, and it was useless to try to hold the claims. “The upper two we thought were good,” said Judge Wilson, “but the lower two we sold to a party of Georgians for $1000, and shortly afterwards I saw them take out between $40,000 and $50,000 worth of gold dust. My share in the upper claim sold in a few weeks later for $2300.” It was a common occurrence for a miner to be worth $1000 one day and be as much in debt the next day from losses in gambling. There was not much stealing in the mining region, for among the miners, if a person was caught stealing anything to the amount of $1 or more the penalty was a severe whipping or death. The first of the Rovers that died was Dr. Joseph Dickson, who was accidentally shot by dropping his revolver while prospecting on the American River. Mr. Stedman spent eleven years in California. Judge Wilson served four years in the Civil War, and he says, “The hardships endured were trifling in comparison with the overland trip to California in 1849.” A few of the men who went out with this expedition returned home with financial gains, but the majority was not so fortunate.